Mission statement: To teach everyday women how to simply live for God; firmly planted, deeply rooted,& beautifully united. We will meet quarterly with women of 101 Church to grow in depth & a sure foundation together. We also will have fun & time to fellowship with each other. This is a women’s ministry for women 18 and over. We want the women of 101 Church to feel connected & supported in their daily lives. 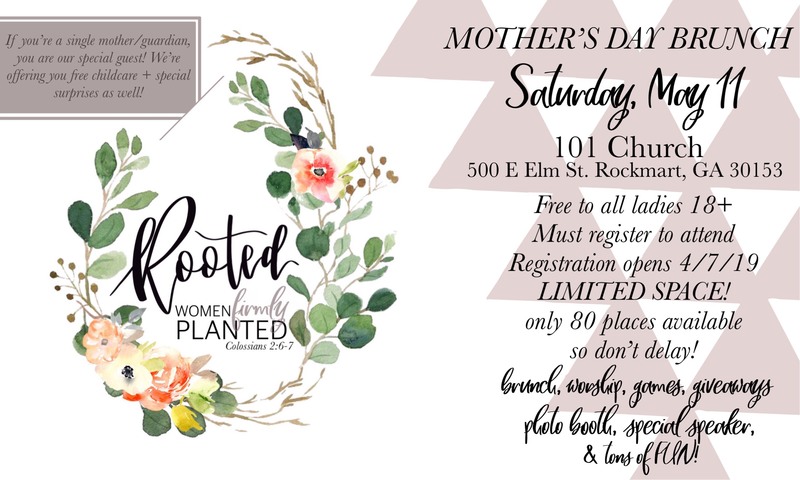 We want this ministry to help women to grow strong roots so that as life can be challenging at times, they will feel loved, supported & ministered to. Those that register after the event reaches capacity, will go onto a waiting list and will be contacted if more spots become available.